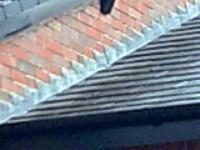 Fascias Soffits & Guttering in Newcastle, ST5 0DS. Covering Newcastle-under-Lyme, Stoke-on-Trent and all areas within 50 miles. Welcome to Boden Roofing Ltd.
Adrian and David Boden have been in the family trade since leaving school. Working with their father Terry Boden (74), whose career spanned over 50 years in roof-tiling and slating, this family-run business has now been trading for over 80 years. Boden Roofing Ltd will hopefully continue to trade for well over 100 years as the fourth generation of the Boden family is well on the way to carrying the family firm and name forward with pride. Boden Roofing Ltd believe in upholding the traditional methods of roof-tiling and slating and are also ready to embrace and work with and alongside new ways or ideas, thus creating an adaptable workforce. All of our employees are trained to a high standard under Boden Roofing Ltd guidelines and will always uphold traditional as well as modern roofing methods, ensuring the care and attention needed when working with and alongside the public. We are centrally located in Newcastle-under-Lyme and Stoke-on-Trent in Staffordshire. This enables us to work and travel very easily to all parts of the country as we are so close to the Motorway networks. We also offer a diagnostic service on a site visit basis for anyone who has started a self-build or DIY project and has become a little confused and just needs to be shown the correct way forward. This service will carry a charge of travel and on-site time, but we can also offer labour to help with loading of tiles or stripping of old tiles and slates only, for those who find this side of the job difficult. We also sponsor certain companies in connection with schools to promote 'Drug Awareness' and making yourself visible at night when returning from school. We do this by way of an inclusion in pamphlets that are then distributed in local schools via school governors, etc. We offer a 24hr call-out service which carries a call-out charge depending on time and distance. This charge will be stated to the client before work commences. 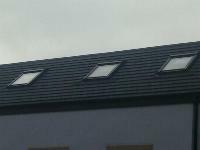 All our roofing work carries a guarantee of between 2 and 10 years for labour and we pass on the manufacturer's materials guarantee for each individual item. We also carry out repairs to chimneys along with dismantling of stacks, all scaffolding supplied. Please visit our website for further information on how we can help you. 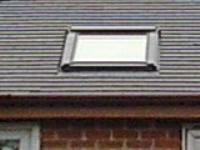 "Adrian came at short notice to review my leaking roof and agreed to undertake the work as soon as they were able. 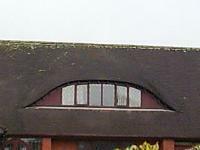 This they did at short notice and found that essentially my old roof had been installed so badly that the only option was to re roof it. Adrian explained the work that would be involved, (considerable, given what they had to rectify). The quote given, was the price at completion, and I feel was very fair given the number of people that Adrian had on site for a number of days. 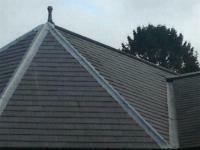 The job was finished today, and the roof looks great, and much more in keeping with the character of the house. All the gentlemen that came to work on the house were really pleasant and took time to explain things if i asked. The weather was by no means the best for roofing, but their attitude was: "We need to keep going, to get a roof over you". 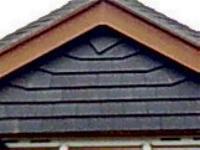 I would most certainly recommend Boden Roofing. 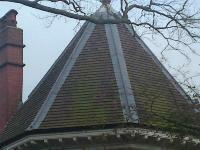 Thank you, DSW"
"Boden roofing - excellent, excellent, excellent. Well impressed with standard of work. Truly professional service." 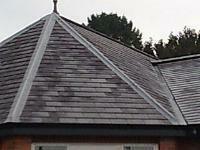 "We were impressed with Boden Roofing Ltd (Adrian, Dave and co). In every consideration we rate this a '5 star' company... The team recently completed some work for us, combining both expertise and expediency at what we believe to be a fair price... One of the very pleasing aspects to us was Adrian's standard of communication. In our dealings with him any dialogue from us was always responded to within 24 hours; very impressive and sadly all to rare in this day and age... So, many thanks to Adrian and his team (The 'A' team maybe?) we will be inviting them back... We can thoroughly recommend this company... Richard and Kathy..."
"Kilnworx initial used Boden roofing for leak roof repair. We are housed in an old church. We was impressed by there assessment of the job and pricing. 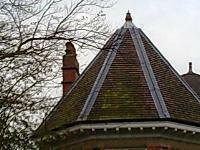 We went on to have lower roof re- tiled. 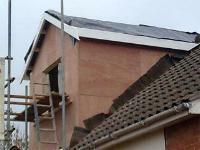 Boden not only provided the most competitive quote, they completed the job on time and to price quoted. We then went on to have main roof replaced, again Boden was most competitive and despite extra work required to due our requests, they still completed on time, to budget and even cleaned site afterwards. Kilnworx Climbing Centre, based in Wycliffe Hall. Burslem. Stoke on Trent"